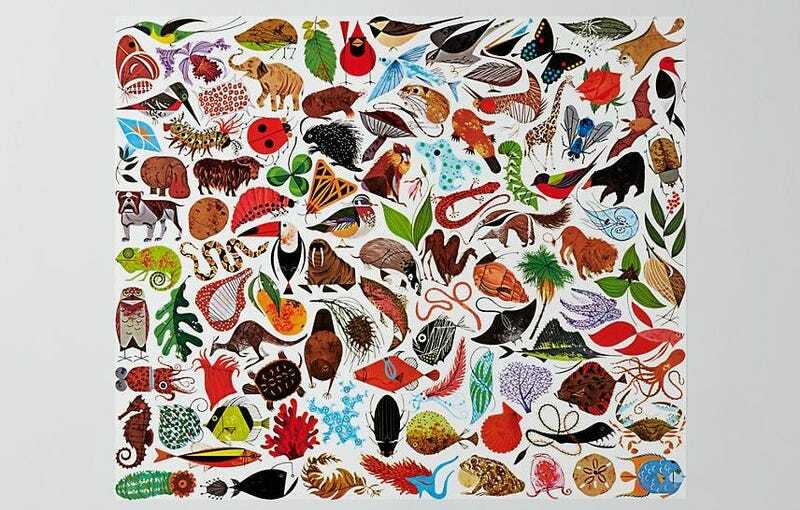 You might not know the name Charley Harper, but it’s possible that the midcentury artist’s colorful work introduced you to many wonders of the natural world. Now many of his pieces are available as furniture to bring Harper’s flora and fauna into your living room. A new collaboration with Land of Nod brings Harper’s work to life as a series of the most adorable quilts, rugs, and posters, all produced in collaboration with designer Todd Oldham (who also collected many of Harper’s pieces into a gigantic monograph in 2011; Harper died in 2007). What made Harper’s work so stunning is that although his work was simple and stylized, he always remained scientifically accurate. That’s also what is so lovely about these pieces: they are exceptionally true to Harper’s original art, right down to the color and detail. Here are a few of my favorites, which are all available starting today.